Daysoutinfo.co.uk is the best way to use your leaflet to reach the growing online market and get your leaflet directly into the home. 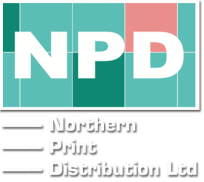 Developed by Northern Print Distribution Ltd, the site is a Reference and Online Ordering service for all the Tourist Information Centres in the UK. Along with the various tour companies that like to provide information to their customers before they arrive. Days Out Info features leaflets and information from over 250 attractions, from zoos to townhouses and outdoor activities. As well as acting as a portal to your own website, Days Out Info enables customers to discover and obtain your leaflet from their own home, getting it into their hands before their visit. Across NPD's fleet of vehicles coast to coast, covering an area from the M62 to the Scottish borders. In over 7,000 outlets through our display units and stands. Directly into the homes of 297,252 young families through our Bags of Info for Kids summer packs. Through 3 x 200,000 & 2 x 70,000 Perfect Days Out leaflets distributed throughout the year. With a social media campaign branching Twitter, Facebook, Foursquare & LinkedIn constantly informing people on offers and attractions. Via trade & public shows, handing out over 10,000 bags per year. Shows include: Cheshire County Show, the Great Yorkshire Show, Group Leisure and Travel Show at the NEC, Go North Travel Trade Show, Southport and the British Tourism and Travel Trade Show, along with the smaller leaflet swaps and exhibitions we attend on behalf of our advertisers. Days Out Info is the go-to encyclopaedia of places of interest across Northern England and the perfect place to make sure your marketing gets seen by potential visitors.